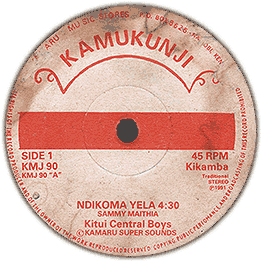 Nice percussive Kamba Synth traditional crossover tune from 1991. We can't stop liking this one. 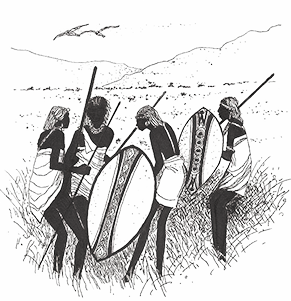 Produced by the the great Joseph Kamaru. Has a crack in the starts that gives some noise, but gets better throughout. Still enjoyable copy check audio from 45 for sale, label has some water damage.